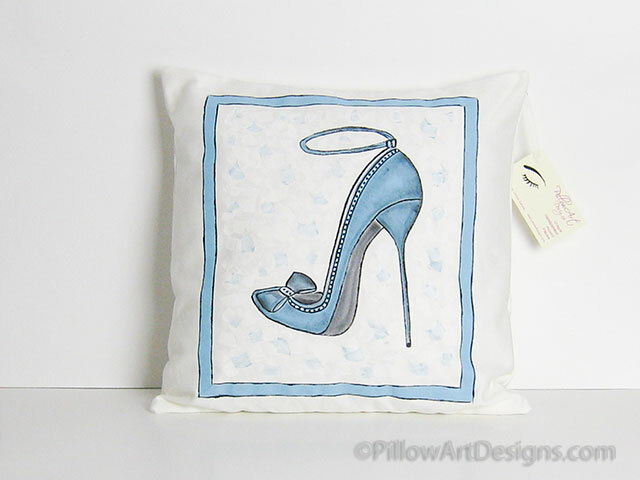 An ultra feminine decorative cushion cover, features a turquoise blue ankle strap stiletto, edged with crisp white highlights and silver grey sole. 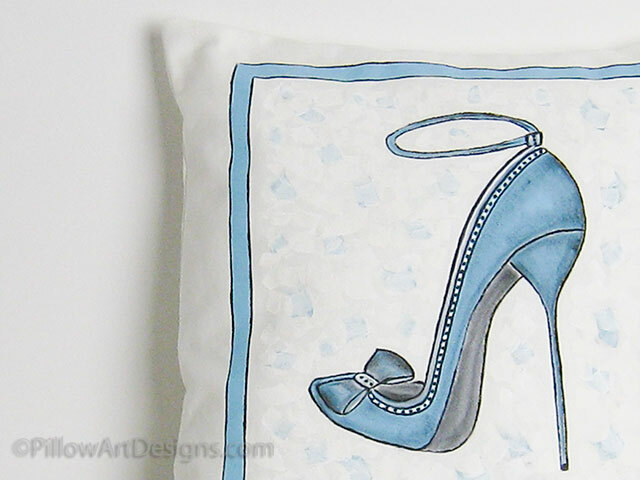 I've added a cute bow on the toe, just to up the glam factor, and shaded the whole shoe with a hint of black to show the contours of this 'uber' stiletto. 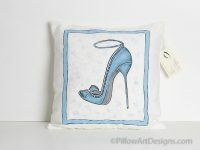 One of my favourite sayings when it comes to my stiletto design cushions "if you can't wear 'em, decorate with 'em". Please note, this listing is for the cover only, does not include and insert. 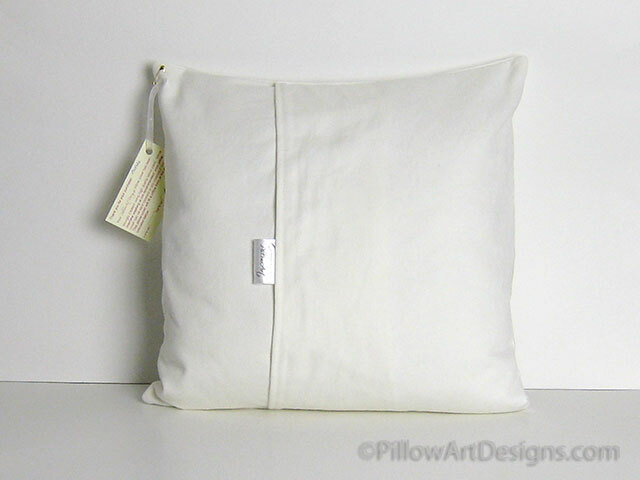 Please contact me if you wish to include the pillow insert.